Merriam-Webster defines resilience as “the ability to recover from or adjust easily to misfortune or change.”  A resilient person copes and “bounces back” when faced with stress, change, or risk factors – negative influences in a person’s life. Someone who is resilient can identify problems, find ways to address challenges, recover quickly and move on. A resilient person has many protective factors – characteristics, people and supports that help a person get through tough times. One of the first researchers to investigate resilience was Emmy E. Werner, a child psychologist from the University of California. Werner has been studying a group of high risk children born in 1955 in Kauai, Hawaii, and tracking their progress since that time. They had been active and sociable infants. They had at least one positive role model who supported their development of trust, autonomy, and initiative. They had at least one skill that gave them a sense of pride and acceptance within their peer group. Werner’s study showed that the protective factors found in these resilient children served as a buffer against the negative effects of risk. Strengthening children’s protective factors to offset the negative impact of risk is essential to supporting children’s resilience. The image below represents a Resilience Model. A child is more likely to have a positive outcome when protective factors outweigh risk factors and is more vulnerable when risk factors outweigh protective factors. Meriam- Webster’s collegiate dictionary (9th ed.). (1983). Springfield, MA:Meriam-Webster. Werner, E., and R. Smith. (1992). Overcoming the Odds: High-Risk Children from Birth to Adulthood. New York: Cornell University Press, 1992. Resilience Is Important For Children AND Adults! Since everyone faces adversity at some point in life, DCRC’s mission is to promote protective factors and strengthen resilience for all children and the adults who support them. 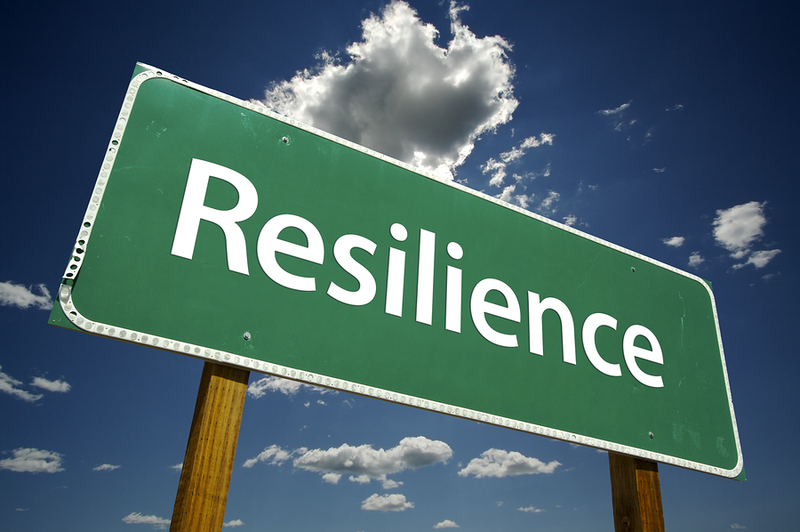 Promoting resilience involves reducing risk factors and strengthening protective factors at the environmental, familial and within-person levels. Parents, other family members, caregivers, and teachers need to regularly check-in on their own resilience. 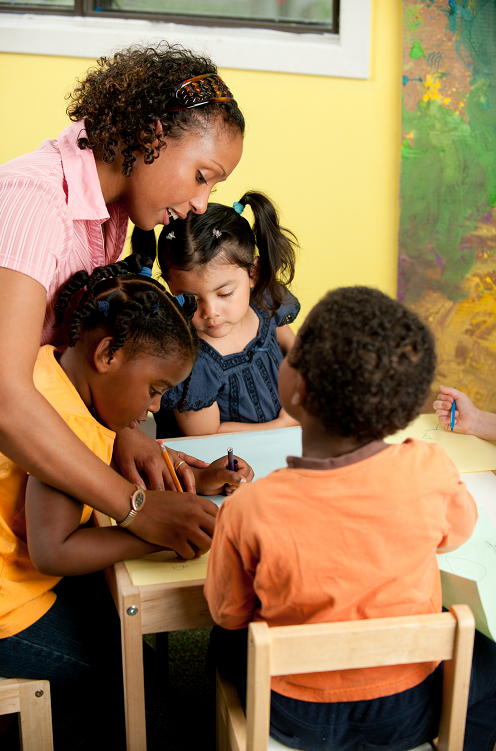 Teachers in particular face multiple stressors ranging from handling the demands of documentation to helping children work through challenging behaviors. It is no surprise that the mental health and physical well-being of teachers and caregivers can be affected by stress – often leading to burnout. The phenomenon of burnout has been well-documented in the education field and has been linked with experiencing job stressors such as high work demands and low personal control (Betoret, 2009; Santavirta, Solovieva, & Theorell, 2007). In fact, Lambert et al., (2009) asserted that there are more studies of burnout in teachers than any other professional group. According to Werner & Smith (1992), common factors among resilient children include having a close bond with at least one person that provided stable care, mothers’ modeling of competence, and positive relationships with extended family members and caregivers when parental ties were not available. When the teacher or caregiver is unavailable to the young child as a result of chronic stress, these relationships can be disrupted and the consequences can be severe and long-lasting (Shonkoff & Phillips, 2002). DCRC has developed high quality, psychometrically sound tools that measure within-person characteristics related to social and emotional development and growth. Based on years of research, DCRC now has nationally standardized, strength-based measures of within-child protective factors for Infants, Toddlers, Preschoolers and School-age children through 8th grade. Within-adult protective factors are measured through the DARS, a research-based measure, as indicated in the table below. While still stressing the importance of protective factors found in the family and environment, DCRC believes our biggest impact can be through the assessment of and strengthening of these social and emotional within-person protective factors. Note in the table below, which social and emotional protective factors are measured in each of our assessment systems.